I haven't used my colored pencils in awhile. And today, I felt like coloring, just for fun. I do have a few coloring books for grown ups but I decided to create my own. So I got out my compass and got to work. I drew these on heavy copy paper so using any type of water-based media was out. So I got my Prismacolors out. I love my Prismas... they are very creamy and so blendable. And because they are so soft, the lead breaks easily when you sharpen them. So you can sharpen them with a craft knife or try this. I had just toasted a couple of pieces of Exekiel bread so my toaster oven was warm. 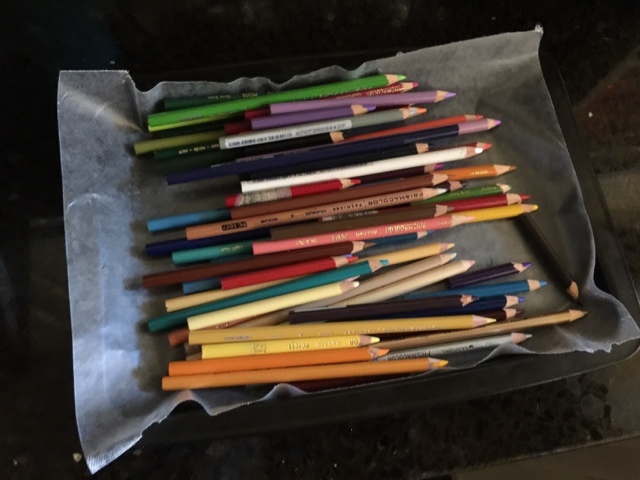 I lined my pan with waxed paper and placed all my prismacolors on the tray. I left them in the toaster oven for about 10 minutes while I ate my breakfast. Since the pencils have lots of wax in them, the lead softens and fuzes any breakage. When I sharpened the pencils, I only had two that broke during sharpening an the second time sharpening did not break them. So I think those two pencils had a break in them already that might have been too far apart to fuse. I will let you know if I have any more breaks.. 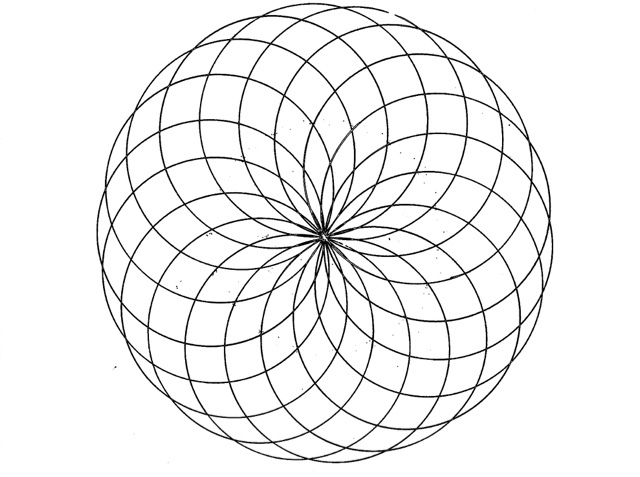 The right "petal" has a bit of shading. I used ultramarine to shade the purple, the blue, and the green sections and even a bit on the yellow. On the red, I used Tuscan Red and Dark Umber to add depth. I also used the same two colors for the gold part. I'm not done with them but at least I write down the colors I used so I can go back. You also don't need the expensive Prismacolors. I like Crayolas almost as much. Are you ready to color? Here is the blank copy! Here are two more.. The last one has lots of possible ways to combine and rearrange so make sure to print a few copies! Please let me know if there are any issues copying these blank copies onto your computer or on your phone. And if you do color them, please send me a copy of the finished pieces! I would love to share them on a future post! My husband asked what I wanted for a gift this holiday and I told him a coloring book. He thought I was kidding. 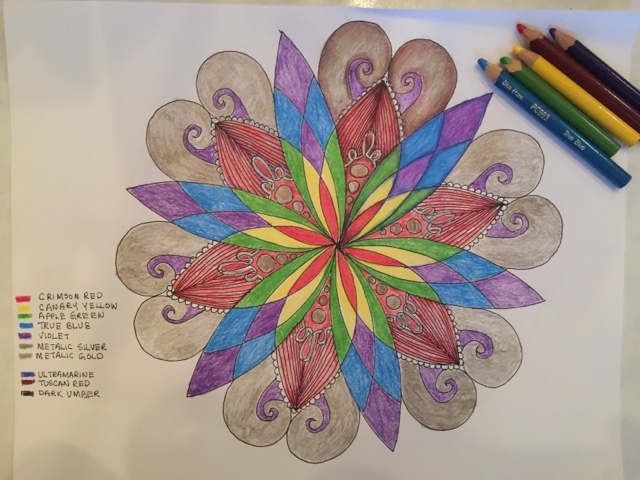 I remember how relaxing coloring was for me and it is nice to see the adult ones out in the stores. Your drawings are beautiful. Thank you for explaining your techniques. 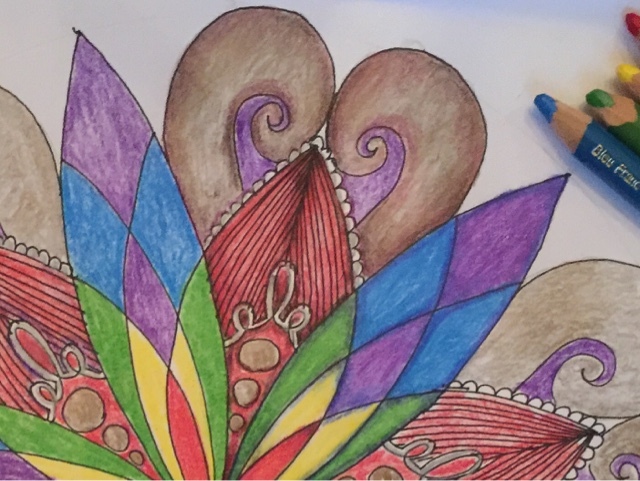 There are so many beautiful coloring books for adults! 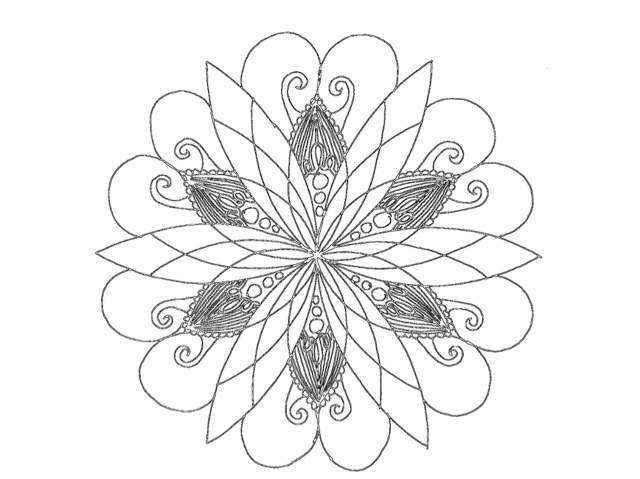 I hope you get a few and enjoy coloring! I used to love to color, even before the kids were born. Very therapeutic! Drawing, on the other hand, very stressful! I don't know why, but this put me in mind of a artsy thing we did in grade school back in prehistoric times. We made crayon shavings with scissors and placed them on a sheet of wax paper. We added leaves or flowers or even nothing at all, then covered it with another sheet of wax paper, roughly the same size. We then took a warm iron to the whole shebang. The results were always pretty. I can't imagine anyone letting little kids use irons for art these days but it sure satisfied an artistic yen in me. So much more fun than ironing clothes! I think I'll go and find a coloring book for adults. Angelcake, Lenalee is right, your drawings are beautiful. Keep it up! That's so fun! I once did a melted crayon pairing! That is fun to do and you are right about not letting kids use a hot iron.. Things we were allowed to do as children! I hope you get yo color again. I just love the whole process! 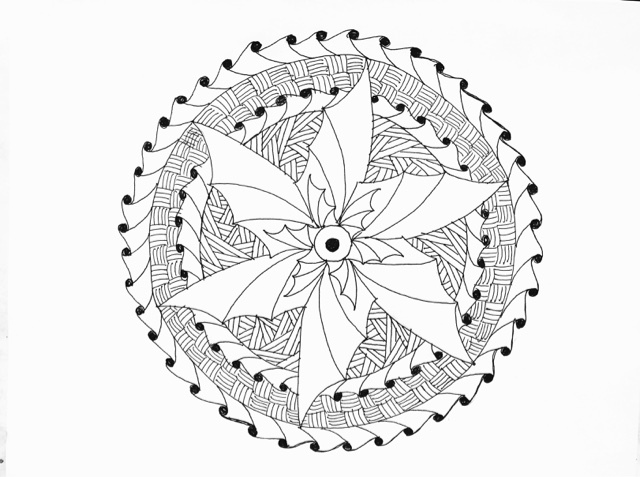 Thank you for those empty colouring pages. They've been saved and will be used soon. I coloured a lot only a few years ago and then stopped again, I've no idea why. I've been lucky though; here in Ireland we have colouring books with complicated, adults images for longer than the current trend. The books featuring images from The Book of Kells are amazing and have been around for years.